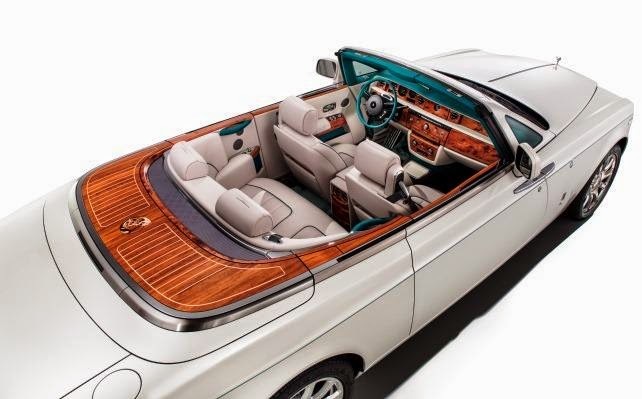 As a tribute to the Maharajas of India and their attraction to its luxurious models, Rolls-Royce has unveiled the Maharaja Phantom Drophead Coupé. 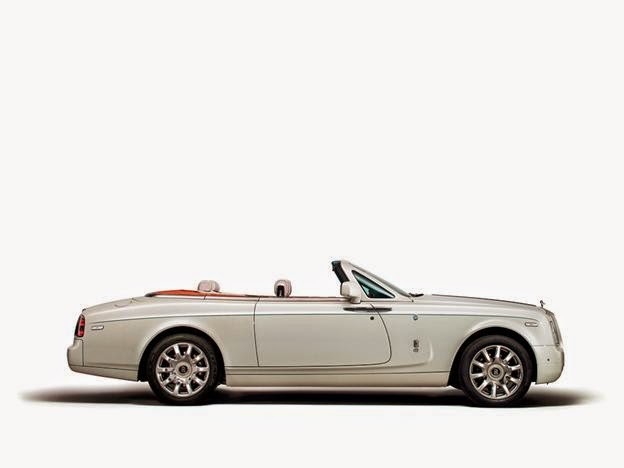 As the name suggests, the car is based on the Phantom Drophead Coupé. 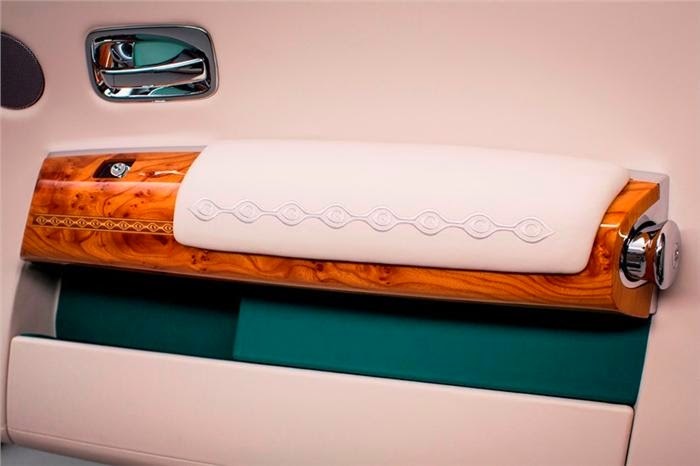 It was unveiled in Dubai, and has been created specifically for the Dubai market. 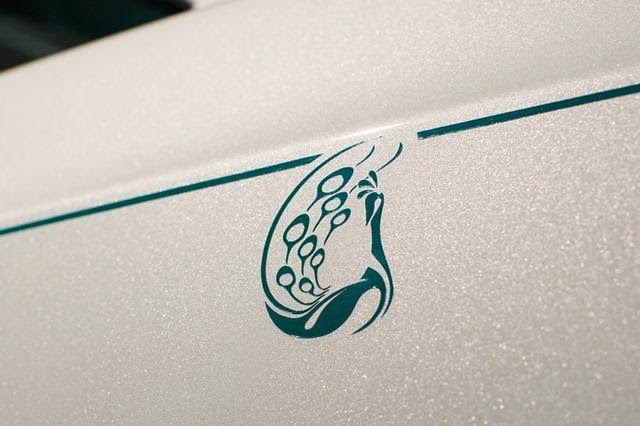 It gets bespoke cosmetic enhancements which include a white paint shade on the outside, subtle works inside and out that depict a peacock, India’s national bird. 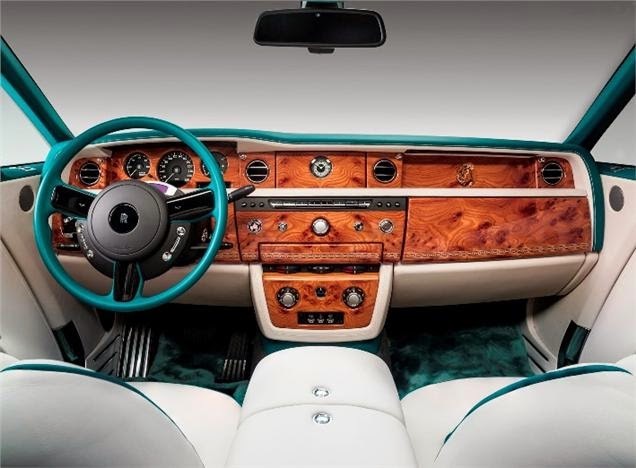 In typical Rolls-Royce style, a lot of attention has also been paid to intricate detailing on the upholstery and trims in the cabin. The retractable top is green, in contrast to the white colour of the car.